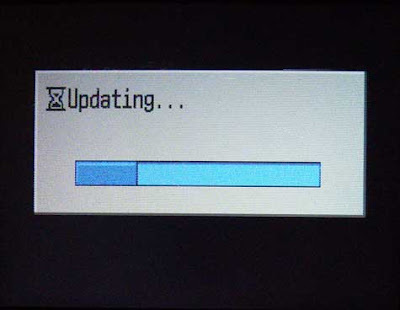 Someone will have to pay for the time I spent watching softwares updating! It seems totally accepted in MMO games. You want to play, you click the button, you don't have much time, "let's just have one game before going to bed"... And suddenly, the launcher tells you that a 2 Go download is required to proceed. And the bigger the download, the longer the update. I have been using PC's for a long time now (1996 for the sake of accuracy) and if I had to keep one rule I learnd from all the crazy things I have been through, it's: "If it works, don't change it!". I used to be the geek who always tried the latest version of everything. From OS's to games, I loved watching the new features. But now, I don't like surprises anymore. I though it was because I was getting old. And now I realize that it's mostly because I am more professional. You see, when you have to get a job done, it doesn't matter if you use the latest version or not. All you need is to get it done, and usually in a short time span. So if you need to re install half of your tools and spend time learning the differences, you are dead. Of course you can find examples of upgrades which are pretty neat. The problem is: You are gambling with your time, productivity and sanity. Most of the time you can't go back (except by starting over). I recently updated 2 apps on my Android Phone : 8tracks and miCoach. 8tracks was nice and it's now great! On the other hand, miCoach was OK and is just became a useless piece of code. It can't keep my settings, useful buttons are nowhere to be found, translation is crappy etc. - they can't release a working version without having to patch it a thousand times. I won't even talk about Wordpress which likes to harass you until you update. Just so you realize that the layout is a mess and most of the plugins are disabled. "Yeah sorry, there was a huge security breach, but now it's fine, I promise!". In a production situation, it can't be. So please, developers of the world, if you make a patch, make it worthwhile. Make sure it really helps people.